That seems a bit harsh, huh? I’m really not that insensitive. 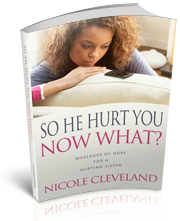 Almost everyday I hear from women that are dealing with the reality of a cheating spouse. I understand that it seems like a terrible nightmare and you just want to WAKE UP! The pain seems unreal and panic and anxiety have moved in. The cheating spouse says ” Get Over It, what’s done is done, let’s just move on.” Trust me, it’s not that easy. The who,what,why’s and when’s seem to chase you day and night. Too often, we want to sweep things under the rug and think they will go away.We don’t want to face the truth or talk about things that will upset us. Please keep this in mind – Whatever you don’t deal with , will deal with you. In one way or another, it will resurface.I say put all the cards on the table. Talk about what happened and why it happened. That is the only way to move forward. Don’t act like it never happened. How can you ever be healed? ← Infidelity – Do I Stay or Walk Away ?